Hard wiring is a term used to describe the direct connection of an electrical power source cable without receptacles or intermediate cords. Clothes dryers that operate on 220-volt, 30-ampere circuits can be wired in this manner using 10-3 grounded ROMEX® cable. A 30-amp double-pole circuit breaker located in the main electrical panel supplies the power requirements for the dryer. You can hard wire the 10-gauge cable to the dryer terminal bus with the proper tools and basic electrical circuit knowledge. Turn off the 30-amp breaker at the main panel that supplies power to the 10-gauge dryer cable. Tag or otherwise mark the panel to alert others of the work being done. Test the exposed wire tips to verify that no power exists. Place one of the tester probes on the white wire and the other probe on the black wire. Also test the white wire and the red wire and then the black and red wires individually with the bare copper ground wire. Remove the dryer terminal bus access panel screw using the appropriate screwdriver. The panel is located on the back of the dryer. Loosen the dryer cable clamp screws with a screwdriver. The clamp is located below the terminal bus and needs to be opened wide enough to accommodate the 10-gauge ROMEX® cable. Pull the 10-3 grounded ROMEX® through the cable clamp. Cut 5 inches of sheathing from the cable with a utility knife. Strip 1 inch from each of the insulated wires using wire strippers. Bend open end loops in the stripped ends of all the wires, including the bare copper ground, using needle-nose pliers. Connect the looped white neutral wire of the ROMEX® to the center terminal screw and tighten clockwise with a screwdriver. Be sure that the open end of the loop is facing to the right when tightening. Connect the looped end of the bare copper ground wire to the green grounding post screw with a screwdriver. Connect the black hot wire to either of the outer terminals next to the white neutral wire. 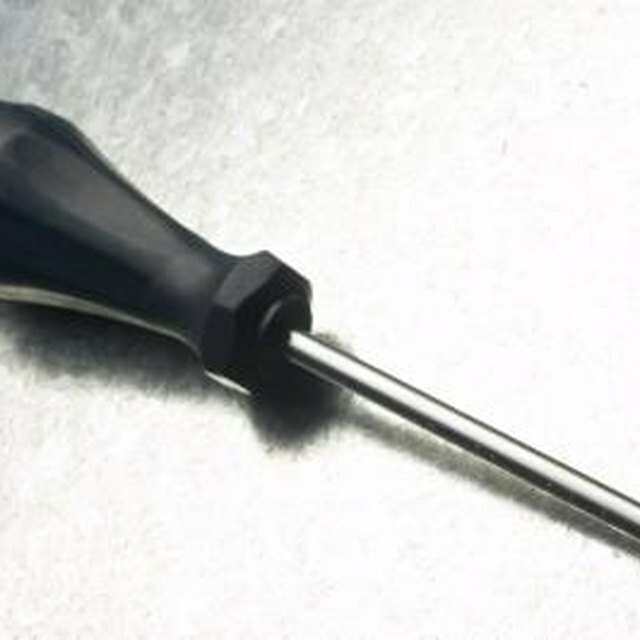 Tighten the terminal screw clockwise with a screwdriver. Connect the red hot wire to the remaining outer terminal and secure the terminal screw. Tighten the cable clamp with a screwdriver. Ensure that the clamp is positioned over the ROMEX® sheathing when tightening. Replace the terminal bus access cover and secure the cover screw using a screwdriver. Place the dryer in position when venting hookup is complete, and restore power. Remove all tags and markings from the main electrical panel.